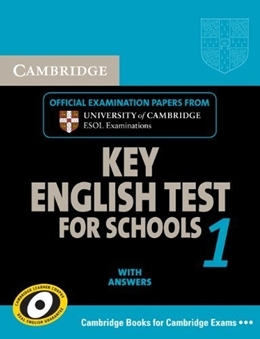 * CAMBRIDGE KEY ENGLISH TEST 1 contains four sets of test papers for the Key English Test, prepared by the University of Cambridge Local Examinations Syndicate and are based on past examination papers.sal verbs. * Exam-style practice and exam tips. * A comprehensive index.skills that are particularly important at this level. * Has a "Ways of Learning" feature in each unit that encourages students to reflect on their approaches to learning.through improvisations around the business themes.